On a regular basis people sent me photos, to share their enthusiasm for vintage airliners or to illustrate a question. These photos have been lingering in a scrapbook or a discarded box somewhere and/or probably wouldn't find their way to Online-use or publication. To prevent them from getting lost, with permission of the sender, I like to share them on this page. Photos already online (personal websites, airliners.net, jetphotos.net, etc) are not meant to be included here. With the ever growing popularity of Social Media (Flickr, Facebook, Instagram) the barrier has become much lower for people to share their photographs or scans of slides; imperfection of these images is no longer an issue. I noticed a decline in requests for publication (a decline I welcome, as I struggle with the workflow) on my 'Guest Pages', but some of these images shared below will be copied from Facebook & Flickr by me for their historic value as I see it; always with proper credit to the photographer, of course! Dirk Septer sent me images of the sad state of Twin Beeches at Vancouver Island Air; the end of an era! 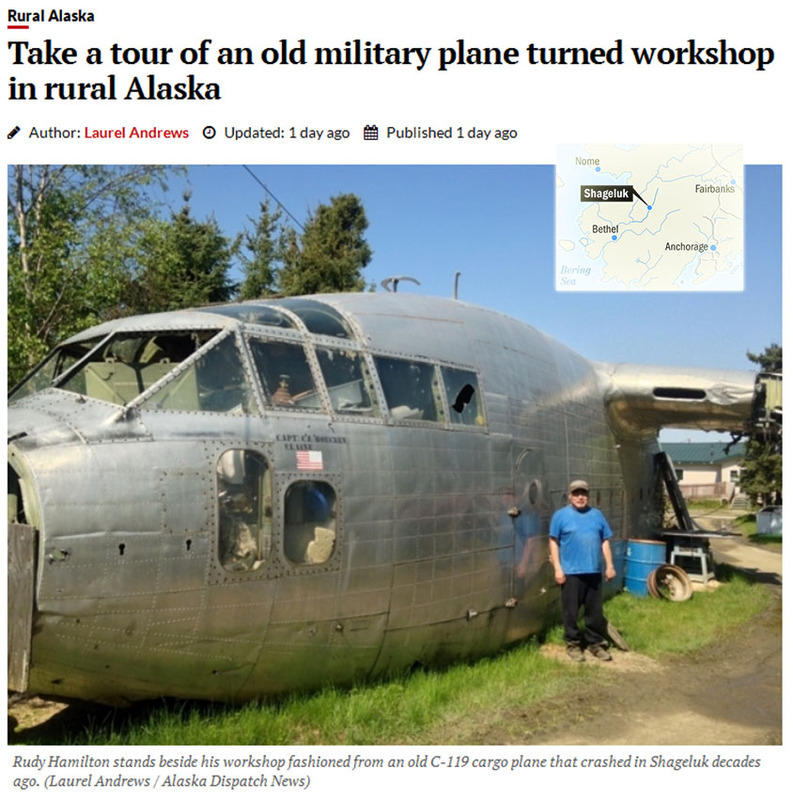 Alaska Dispatch News had a nice feature a few days ago: a C-119 wreck survives as a shed in Shageluk, Alaska! Marko van den Hoven took this image of FAC-667 at Bogota's Aeropuerto Internacional El Dorado in May this year, (2016). The identity (msn or c/n), hence its history, of this airframe is a mystery. 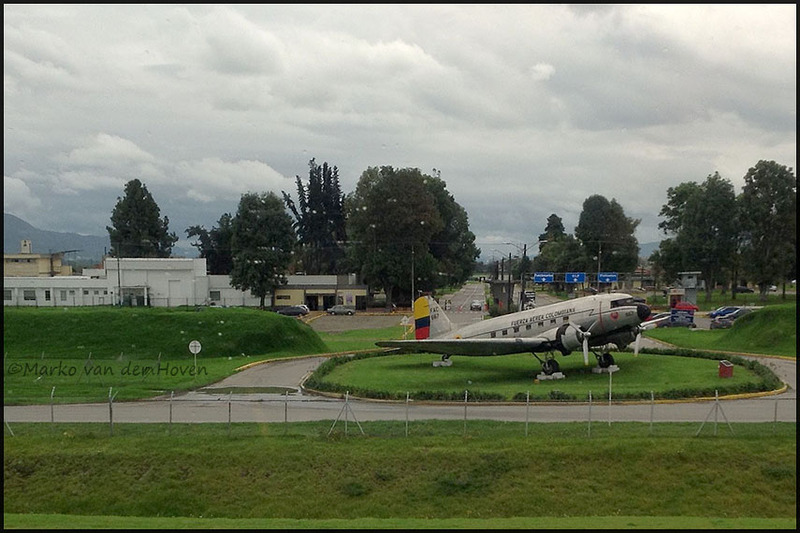 Douglas C-47 Fuerza Aerea Colombiana 'FAC-667', preserved at the Colombian Air Force Museum here. "... Based on the info available to me at this moment, I do not know if the airframe that had the accident in 1964 is the same as the one that was converted to AC-47T in 2001/2002. I am fairly certain though, that neither of these has anything to do with the aircraft shown in that March 1980 photo on Airliners.net (which has the pax door). It seems certain that at least two airframes have carried FAC667. And I also know for a fact that (at least) two airframes have carried FAC1667, i.e. the one that ended up at the museum in 1994, and the one that was sighted in storage at Madrid AB in Feb 1997. The former is still at the museum today, and the latter is almost certainly the one that went to Basler for conversion, quoted by them as c/n 19052. In any case, I am certain that all photos on Airliners.net show the same pax door equipped airframe, first serialed FAC667 (1980), then FAC1667 (1992), then at the museum and painted as FAC667 by 2005. A helpful thing here would be to have a photo of FAC1667 c/n 19052 before it was converted to AC-47T; to see if that too had a pax door." 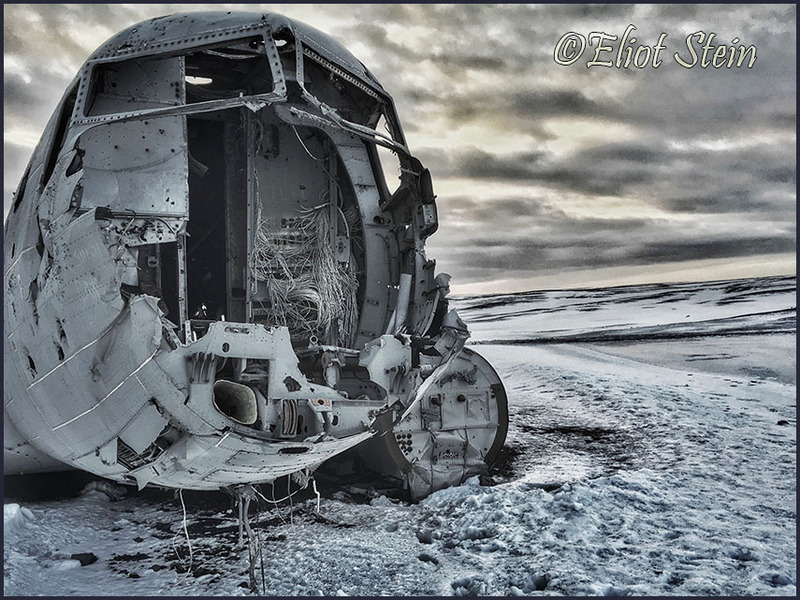 Eliot Stein recently wrote a fantastic piece on the C-117 wreck on 'War is Boring'; this propliner survivor on Só´lheimasandur beach in Iceland has become quite a star! Photo by Eliot Stein. The harhsness of Iceland's climate is very well captured in this image! I was there in 2007 when it was more or less obscure. My report Iceland 2007 has the details on this Douglas C-117 but also on some other propliners in Iceland. I have to go back for one or two that eluded me (e.g. the C-117 in Sauðanes, where a farmer is using the crashed US Navy plane as a sheep barn; it is also mentioned & pictured by Eliot Stein on War is Boring). Iceland has a unique beauty of its own, there is great versatality in its landscape; so it is not a question of if but when I go back there! On 17May2016 the website fireaviation.com published some good news! "Two air tankers recently certified", referring to Lockheed L.188PF Electra C-FIJX (c/n 2010) ready for work as 'Tanker 416' and about AirSpray's T492, also certified for aerial firefighting. The bad news of course is that presently Canada can use extra capacity in fighting raging wildfires, such as the fires near Fort McMurray. 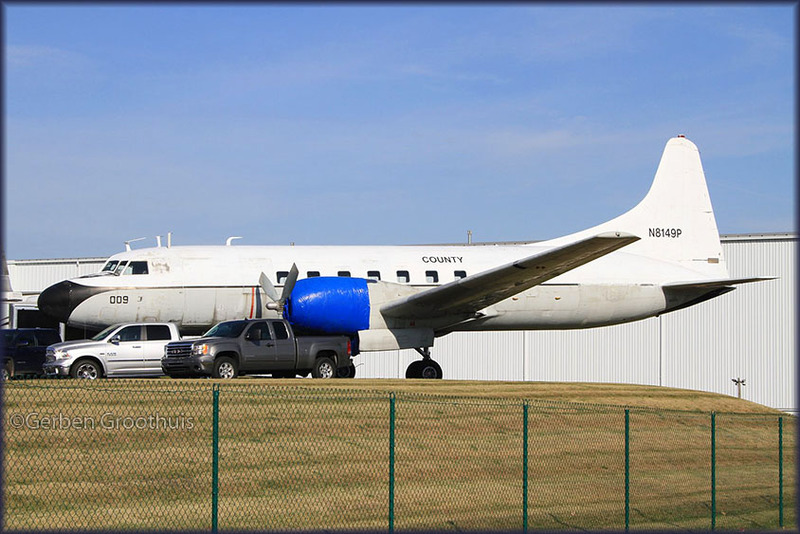 I found an update that the Douglas C-53 (DC-3) N34D (c/n 4865), reportedly stored for almost 10 years at Beach City,OH has found a new owner. Vintage Wings Inc hopes to restore it, perhaps even to flight! President & Founder Jason Capra and Vice-President Jeff Tramontano are behind this hopeful intiative. The aircraft, including its history also featured on my Photos by Friends & Guests (20). It languished for many years here in Ohio: "2D7 is an airport at a small burgh, Beach City, OH, in east central Ohio somewhat near New Philadelphia; it's a local grass strip. Don't know why it's named Beach City, there's no water, no beach, and not even really a city!" N34D is still marked as such, though it was rereg'd as N34DF on 10Oct1990, for Kenneth 'Ken' W. Joseph (Canton,OH). 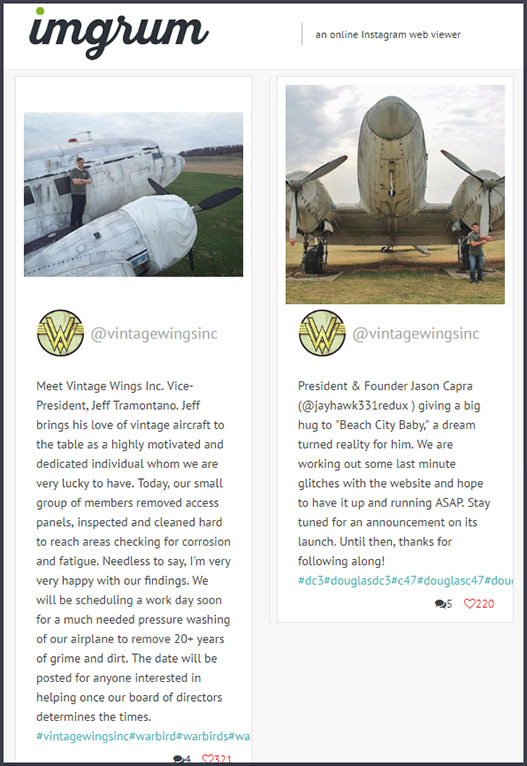 Mission statement: "Vintage Wings Inc. was a lifelong childhood dream of Founder and President Jason Capra. Having been around warbirds since he was fifteen and building models as a child, Jason had always dreamt of operating his own aircraft to help educate future generations on the importance of these historic machines. In February 2016, that dream became a reality. With the formation of Vintage Wings Inc., we hope to preserve, fly, and demonstrate our aircraft to future generations so that their legend may live forever." See also www.flyinghigher.net/douglas/N34DF.html. It has details on its history as well as 'technical close ups'. Some of that text: "In October, 1952 it was registered to Ramapo Foundry & Wheel Works in NY as N9959F. From there it went to Air Carriers Corp. The FAA registration was changed to N34D and the aircraft was operated by E.T. Barwick Mills, in Georgia. It was in the hands of Houston Aircraft Sales Inc., in June 1963, and went to the Ohio State Dept. of Commerce in Oct. 1964 where it became the official State aircraft. They cancelled the registration in Dec. 1983, after taking the aircraft to the USAF Museum in Dayton. 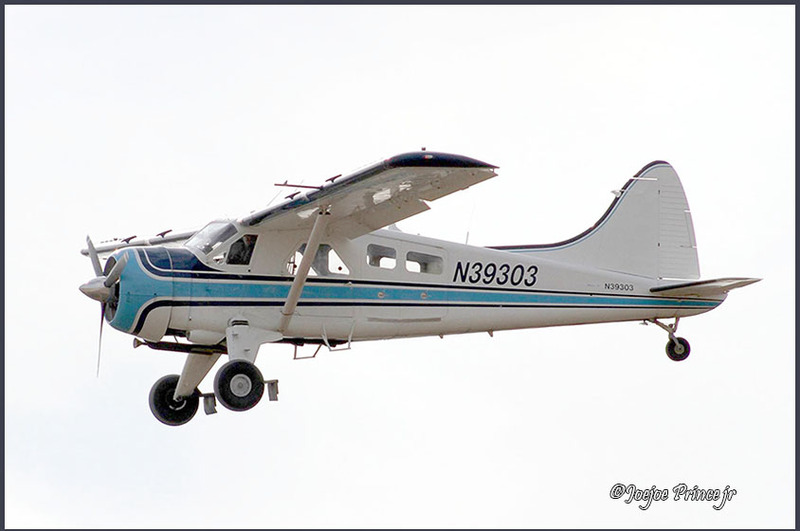 From that time until Sept. 1990, N34D was missing from the FAA Aircraft Registry, at which time it was re-registered to Ohio University in Athens, OH, as N34DF. In October it was transferred to Kenneth Joseph, of Canton, OH. The aircraft shows N34D, but that number is assigned to another aircraft and the current FAA registry has '4865' as N34DF. Ken Joseph had a lot of work done to the aircraft before bringing it to Beach City nearly 10-years ago [this probably dates from 2003 -Webmaster]. In addition to other things, they did major cleanup and painting inside the nacelles and installed fresh control surfaces. He intended to finish restoring it there with new paint, interior and avionics. However, the project has stalled and N34DF is fast moving toward the point of no return." "Vinatge Wings Inc is a group of enthusiasts led by Jason Capra. 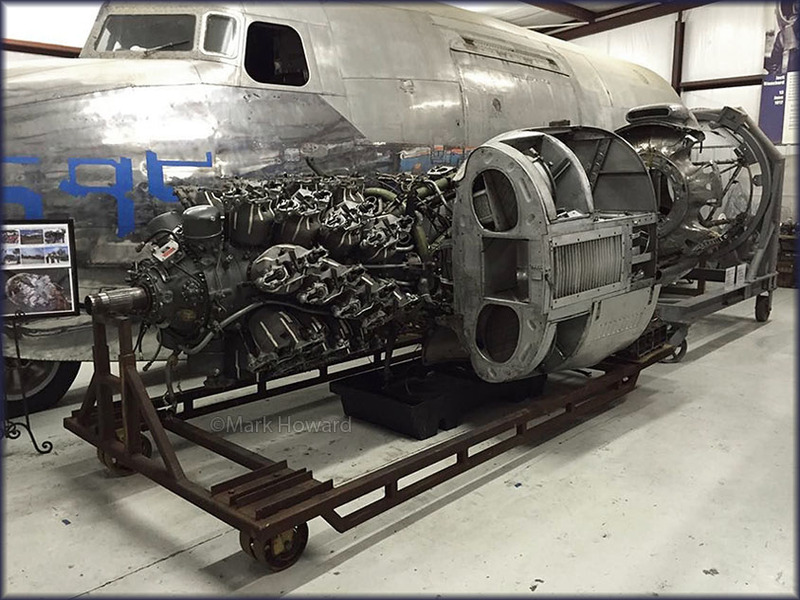 He discovered a forlorn Douglas C-53 Skytrooper, 41-20095, at the airport of Beach City,OH in 2014 and decided to make an attempt to save it from the scrap man. Capra had found out that 41-20095 was a real WWII veteran that had been active in several theatres of war. Built in Santa Monica,CA as a cicilian DC-3A passenger aircraft, it was accepted by the USAAC in january 1942, it was designated a C-53 Skytrooper. Through Bolling Field,WA and Palm Beach,FL it was flown to Africa to participate in Operation Torch. The C-53 was later transferred to the North Atlantic Wing of the Air Transport Command where it shuttled troops and VIPs, amongst them the generals Douglas MacArthus and Jimmy Doolittle, Glenn Miller and Eddie Rickenbacker. After the war, it was sold to the Danish Airlines (later SAS) and flew as OY-DCE 'Gorm Viking'. After 1952, the C-53 headed back to the United States and became a corporate transport, registered N9959F, later N34D. From 1963 to 1983 the Dakota was used as the personal transport of the governor of Ohio. Through the Air Force Museum in Dayton,OH - now reg'd N34DF - it was acquired by the University of Ohio, in Athens, but these people were only interested in the Dak's engines. In 1992, a man called Ken Joseph bought a set of engines and flew N34DF to Beach City, where it has resided ever since. Thanks to crowd funding, Vintage Wings Inc has almost reached the amount of $100.000,- needed to secure N34DF's fate. Restoration was reported complete and ready to fly on 17Sep2018! See my Photos by Friends & Guests (55). Arthur Craig worked among the propliners at Willow Run; when I asked him to share some of his images he kindly shared these two. He wrote (may 2016): "I don't have too many images from my Zantop days, but I do have a couple from Miami when I flew from 'Corrosion Corner'. The DC-6 is N6103C an ex PAA aircraft. The picture was taken at Piarco Airport in Port of Spain Trinidad in 1974. I was flying engineer and it was for a freight contract for BWIA, operated by Art Lloyd out of Miami. 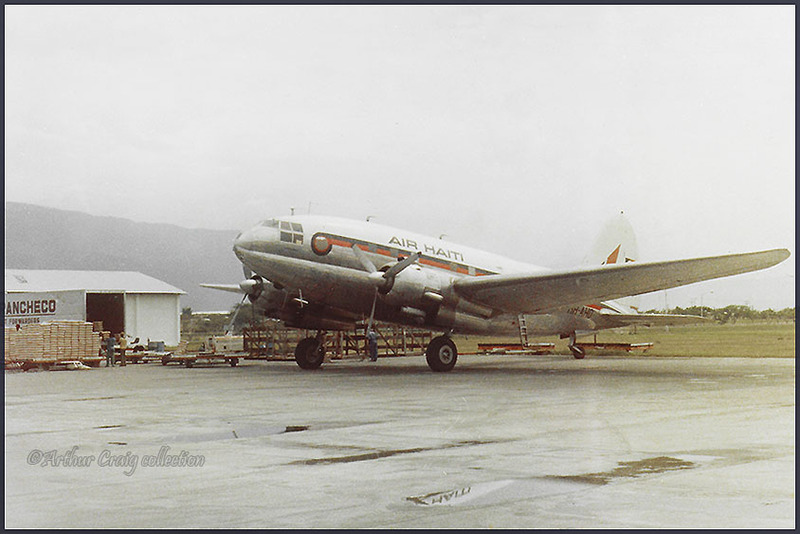 The C-46 picture was taken at Port Au Prince Haiti in 1983. I flew Co-pilot on the trip and that was the only trip I ever flew in a C-46! I later went to Hawaiian Airlines and flew there on the L-188, DC-8, DC-10, L-1011 and finally on the B-767. I am retired now and live in Fort Myers,FL." This is Curtiss C-46A Commando HH-AHD of Air Haïti. and HH-AHD for Air Haïti; reportedly parted out, perhaps still surviving as a hulk at Port-au-Prince in Haïti. 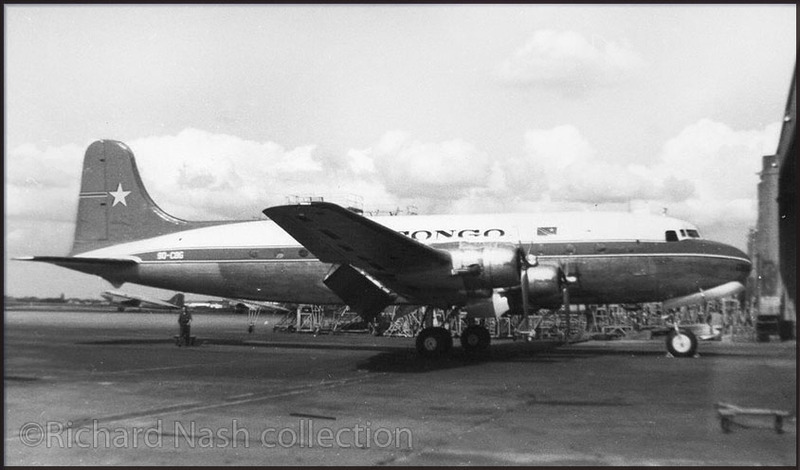 This is N6103C, a Douglas DC-6B/F, c/n 44103 with linenumber 392. Aircraft Leasing, Paradise 1000 Travel Club (lease), Int'l Aircraft Sales & Leasing, BWIA West Indies (lease). It was 'destroyed', I am assuming scrapped, at San Juan's Luis Munoz Marin International Airport (Puerto Rico). Arthur wrote here: "Here is a picture of N344HA, a Lockheed L-188 that I flew for Hawaiian Airlines. in the summer of 1979. We were doing a subservice for Wien Air Alaska." With ferocious wildfires raging in Alberta (e.g. Fort McMurray) the question soon appeared why the Martin Mars was not involved in fighting these fires? 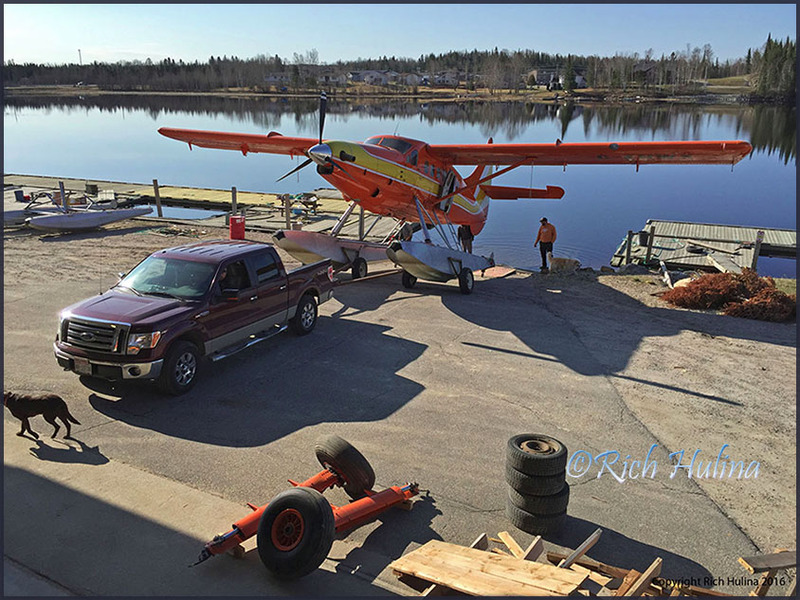 Rich Hulina shared this photo on his 'Bush Flying Captured' Facebook page 02May16. He wrote: "Let the season begin! Sioux Lookout this morning." I have fond memories of a 'bush planes trail' in 2007 that brought me to Sioux Lookout and I hope to revisit some day. Check out Hulina's website:	www.richhulina.com and check out that grand book he published on bush flying! 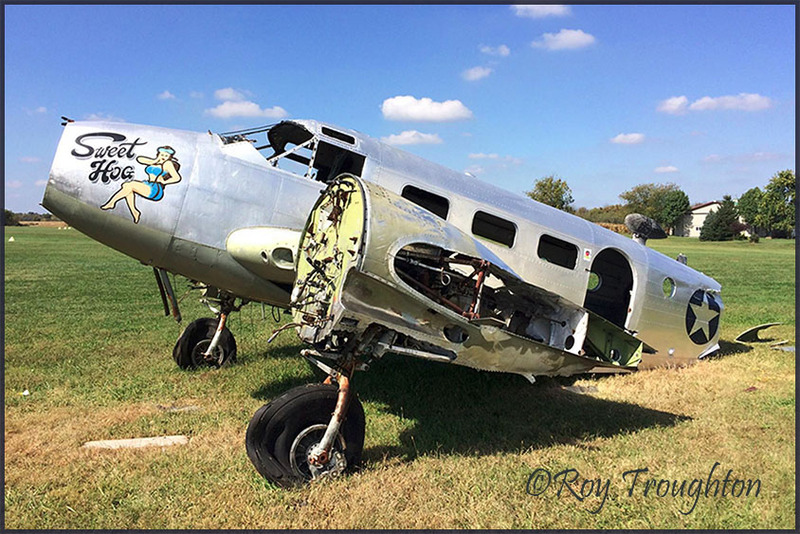 Roy Troughton shared this image of Beech C-45 N987SC recently on Facebook's Beech18/C45 Group; it was taken at Waynesville-Red Stewart,Ohio (40I) on 07Oct15. Serial: 23815 - Manufactured in 1942 - Model: UC-45J. Geoff Goodall's website (http://goodall.com.au/beech18-production/beech18-part-1.pdf )provided far more detail ! Taken on 22 or 23Apr2016 at Bethel, Alaska. Boeing 247D NC13347 (c/n 1729) made its final flight on 26Apr2016. 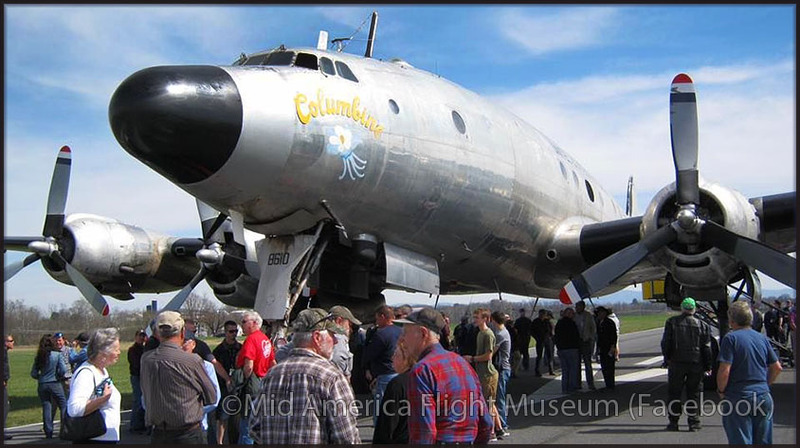 For a number of years NC13347 had been under repairs at the Restoration Center at Paine Field and on April 26th was flown (a mere 15 minutes flight) to Boeing Field for display with Seattle's Museum of Flight. It will be maintained for a static display, quite possibly because the risk for damage or crash during flight operations is too great to undertake for such a unique vintage airliner. The Boeing Model 247 was an early US airliner, considered the first such aircraft to fully incorporate advances such as all-metal (anodized aluminium) semimonocoque construction, a fully cantilevered wing and retractable landing gear. Other advanced features included control surface trim tabs, an autopilot and de-icing boots for the wings and tailplane. 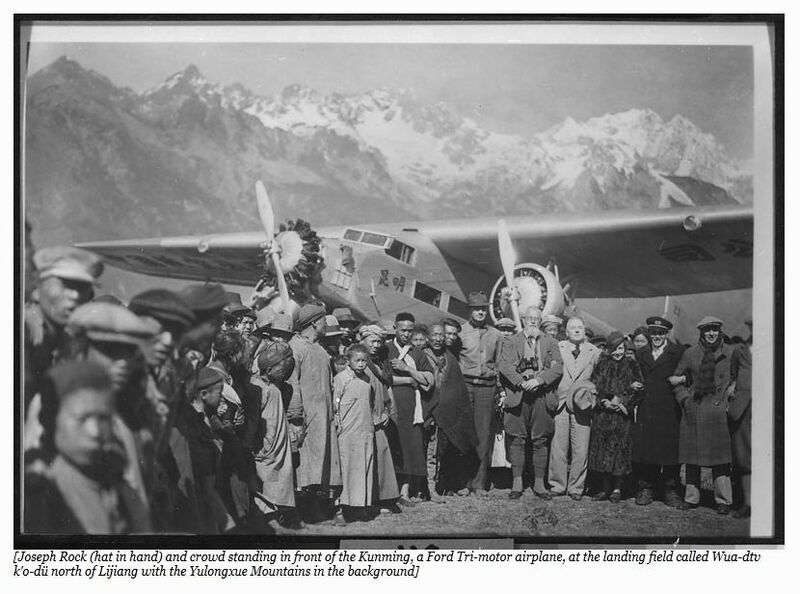 The Boeing 247 first flew on 08Feb1933. Monday 25Apr2016 Alexander Leeuw visited Belin's Tempelhof-airport-turned-park, Tempelhofer Feld For his 40mm pancake lens it was quite a distance to cover the DC-4, but it suffices as a status report and shows the fascinating Tempelhof lay out. It seems that part of the terminal is off-limits, for the housing of immigrants..? He also registered two other surviving airframes and for sake of completeness include them here. One can just make out the serial on the tail: 5557. 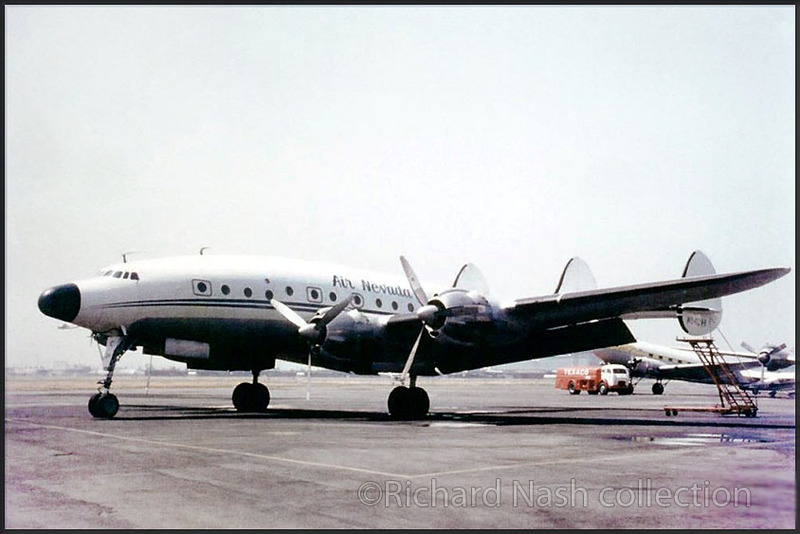 This is Douglas C-54G Skymaster (DC-4), its full USAF would be 45-0557 (c/n 3600). 1980s it was operated by Tempelhof Airways USA. I would welcome identification of the airframe (?). come across images similar to this one..? Those cockpit windows look different, for one..? "The silver airliner fuselage is one of three uncompleted prototypes of the Dornier Do-728 - it is in storage for the DTMB, Deutsches Technik Museum Berlin. There are plans (or lets say wishes) to open a dependance at Tempelhof, once their Focke Wulff 200 is complete. There are several other great Museums and collections around. In Tegel is a small Museum, which has a Vickers Varsity and the Alliierten Museum in the City has a Hastings." Added a fine vintage propliner selection on the Richard Nash/Bill Hill collection page Follow the link to see them all ! Terry Fletcher also sent an image of ZK-PBY, but I appreciated this fine 'post restoration' image by Craig Benbow so much, I wanted to share it here! thousands over the weekend at Warbirds over Wanaka." 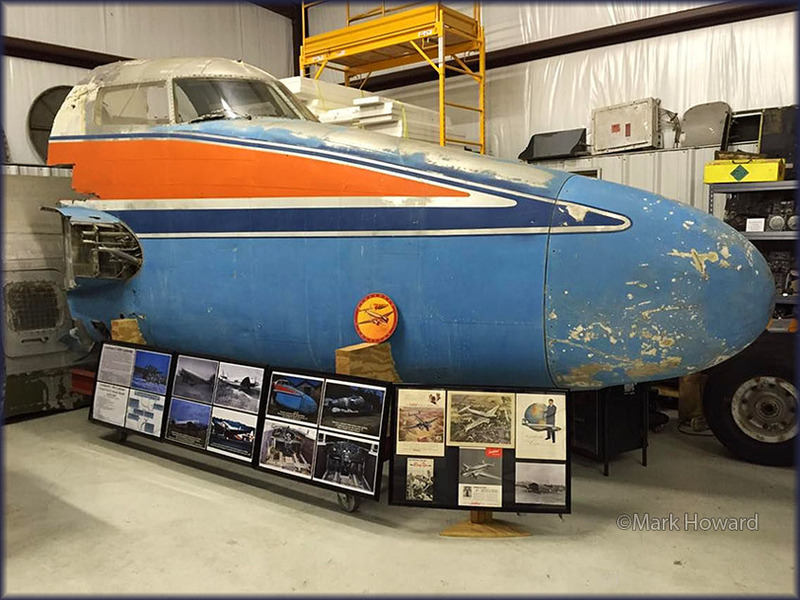 Lockheed P-2 Neptune N4692Z has been scrapped, as this image by Sammy Goza shows (Fresno,CA). Image probably dates from March 2016. Accepted as P2V-7S at Burbank 29Aug1961. VP-11 Brunswick (Sep 61-Mar 67); VP-18 Roosevelt Roads (Mar 67-Sep 68); NARTU Washington (Sep 66-Nov 70); VP-68 Washington (Nov 70-Oct 71); VP-92 South Weymouth (Oct 71-Jan 75); VP-94 New Orleans (Jan 75-Apr 76); Aero Corp Lake City (Apr 76-Jun 76); VP-94 New Orleans (Jun 76-Aug 76); VP-67 Memphis (Aug 76-May 77) [code PL-6]. To MASDC 14May1977, struck off charge 29May1978. Later to civil registry as N4692A with Mid-Atlantic Air Museum, Reading, Pennsylvania -20Jan84. Current with Minden Air Corp, as Tanker 48. 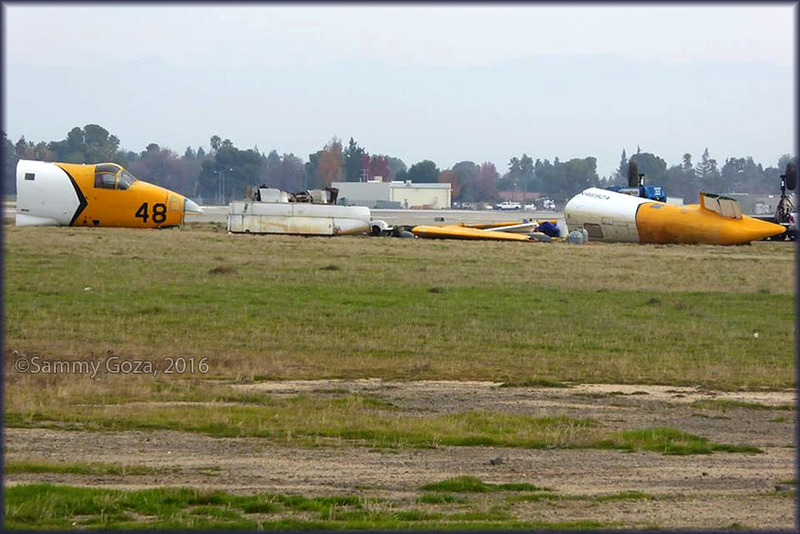 On 15Jun14 substantially damaged when the nose wheel landing gear collapsed during landing roll at the Fresno,CA. Examination of the airplane revealed that the forward portion of the fuselage was structurally damaged." "I am not sure of the location, but this is one of the best pictures that I have found of N189UM; bought it on e-bay not long ago. I have a special fondness for this plane (long since demolished), because I and another pilot picked it up at the 3M hangar in Minneapolis, when it was purchased by Aero Service. 3M owned it but they wanted to keep their N-number (I think it was N3M), so they changed the number and there may have been a tax fanagle since the number is a University of Minnesota number. I have no idea the date or photographer." Note that enlarged window on this DC-3; now that would be a window-seat I'd liked! 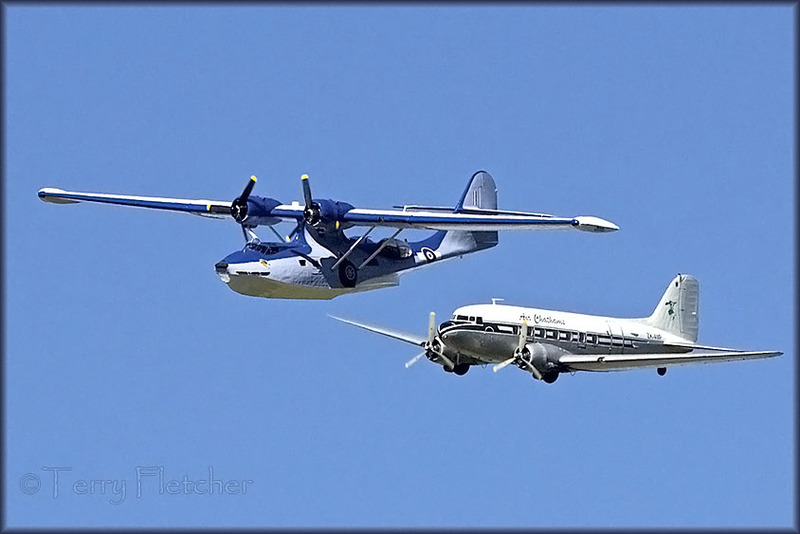 I found this to be a Douglas C-49J, with c/b 6262. 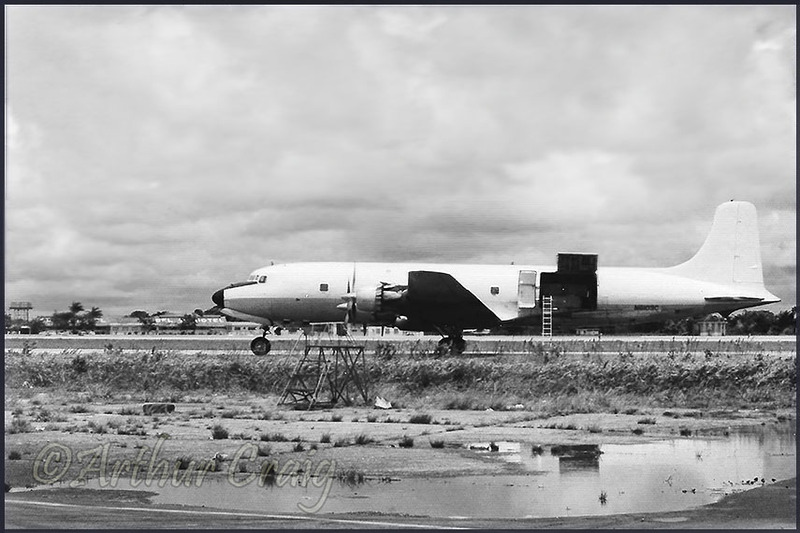 It was written off on 08Feb78 in Algeria, at Tamanrasset-Aguemar Airport (TMR/DAAT) while N189UM was operated by Aero Service Corporation (ASN database). If you want to know more about Aero Service, see my page on DC-3 N5000E. Terry Fletcher sent me these images in april 2016, after a recent visit to New Zealand. 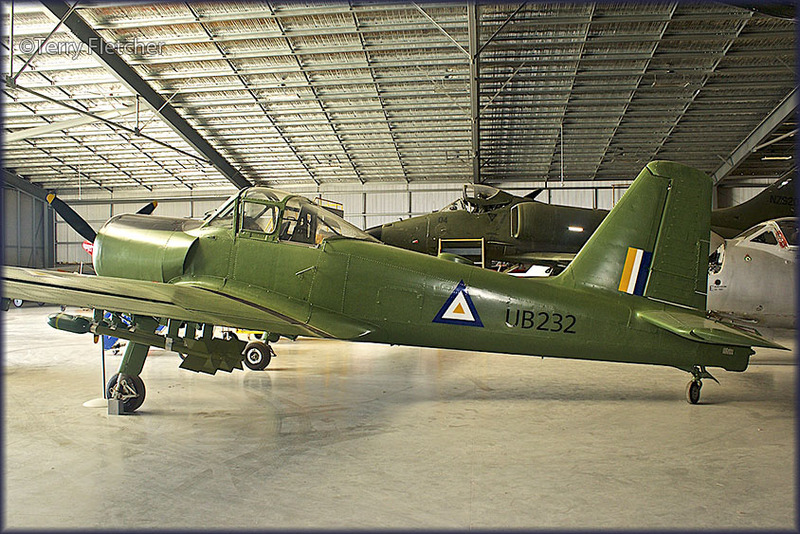 They were take at Croydon's Aviation Heritage Centre at Mandeville (South Island), New Zealand on 17Mar16. The deHavilland DH.89 Dragon Rapide was a 1930s British short-haul biplane airliner for 6 - 8 passengers. It proved an economical and durable craft, despite its relatively primitive plywood construction. In late 1933, the Dragon Rapide was designed at the de Havilland company as a faster and more comfortable successor to the DH.84 Dragon. It was in effect a twin-engined, scaled-down version of the four-engined DH.86 Express. On 17April1934, the prototype aircraft first flew at Hatfield. 205 craft were built for airlines and other owners all around the world before the outbreak of World War II. While first marketed as 'Dragon Rapide', it later was popularly referred to as the 'Rapide'. From 1936, with the fitting of improved trailing edge flaps, they were redesignated DH.89As. At the start of World War II, many ('Dragon') 'Rapides' were impressed by the British armed forces and served under the name deHavilland 'Dominie'. The DH.89 proved an economical and very durable aircraft, despite its relatively primitive plywood construction, and many were still flying in the early 2000s. Several Dragon Rapides are still operational in the UK and several operators, including Classic Wings and Plane Heritage, still offer pleasure flights in them. 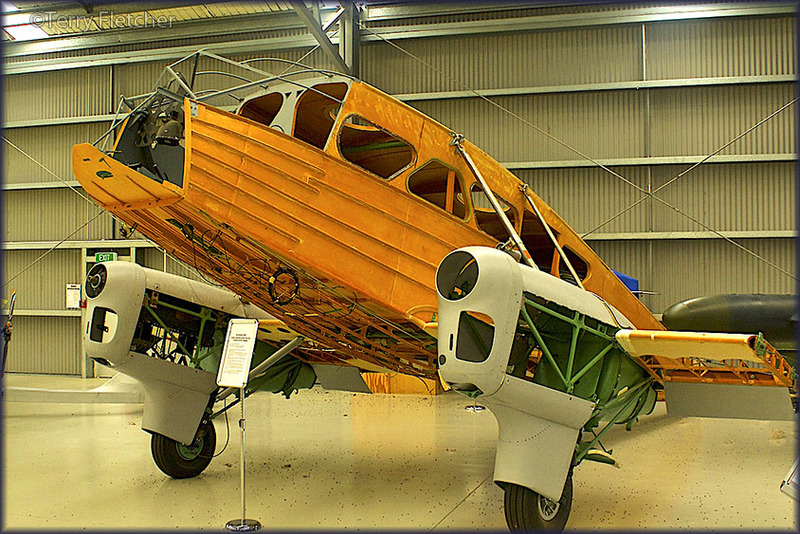 After WWII deHavilland introduced a Dragon Rapide replacement: the deHavilland Dove. Also at Croydon's Aviation Heritage Centre: ZK-AYR, DH90 Dragonfly; it is one of only two left in the world! 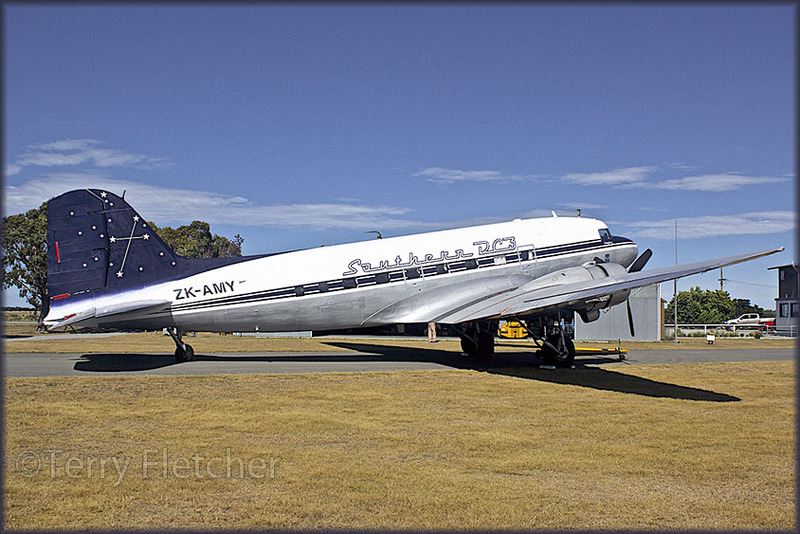 On March 19th Terry visited another aviation spot on South Island: the Ashburton Aviation Museum. A nice follow up to the reference made to ZK-AMY C-47 in Photos by Friends & Guests (24)! c/n 13506 is ex/ 42-93579 VH-ASD, VH-CAN. 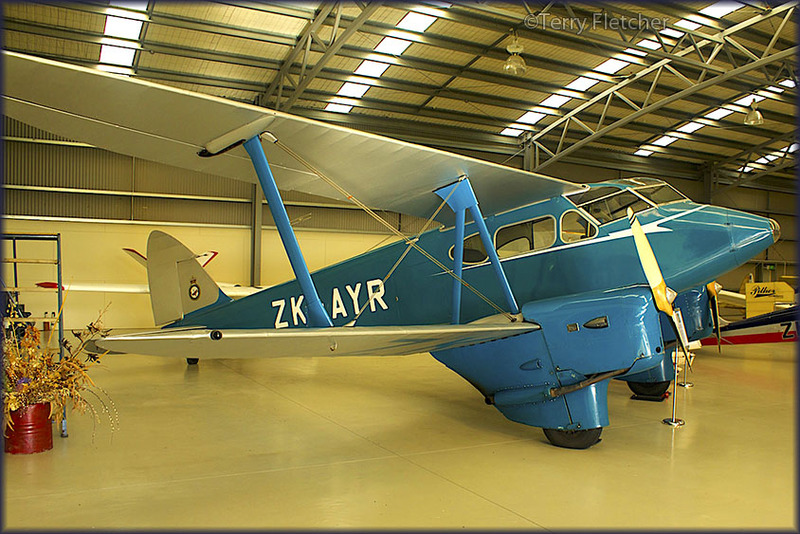 In Jan.2014 ZK-AMY was permanently retired from flying and 'rests' at the Ashburton Aviation Museum. 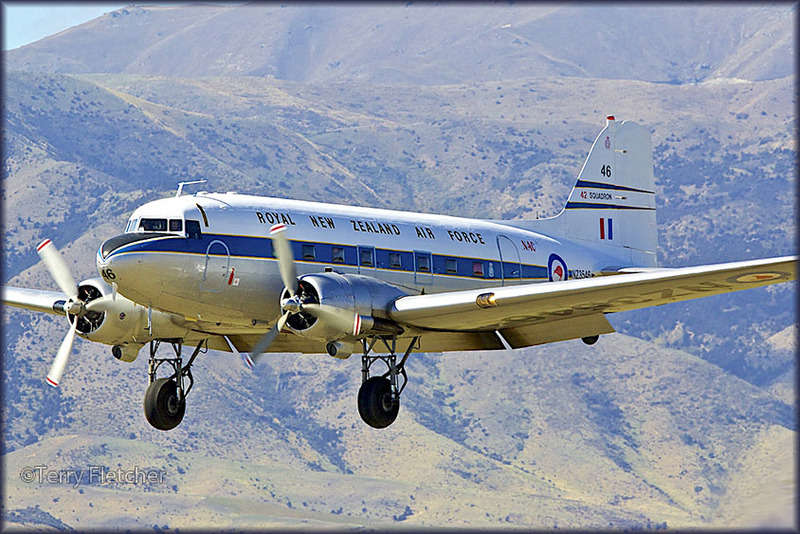 deHavilland Devon NZ1829, with a grand total flying time of just 17.7 hours ! 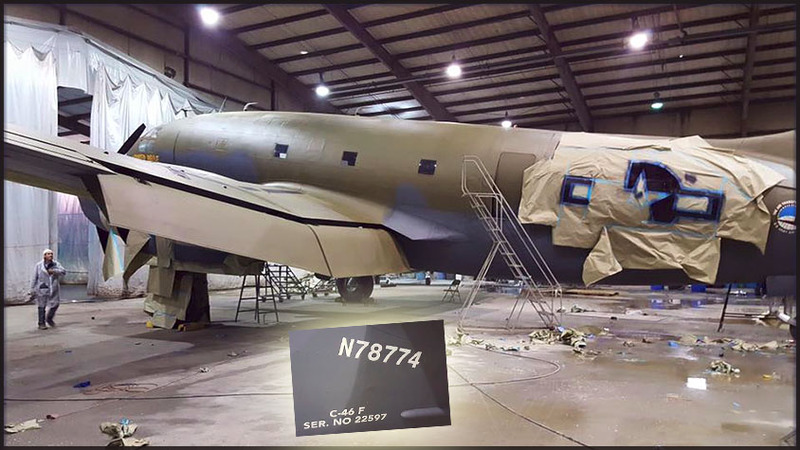 'Warbirds and Warriors' posted this image on their Facebook site; C-46F N78774 'Tinker Belle' got a new paintjob in april 2016. Curtiss C-46F Commando N78774 (c/n 22597) is operated by... City of Monroe,NC! Which is quite unique. 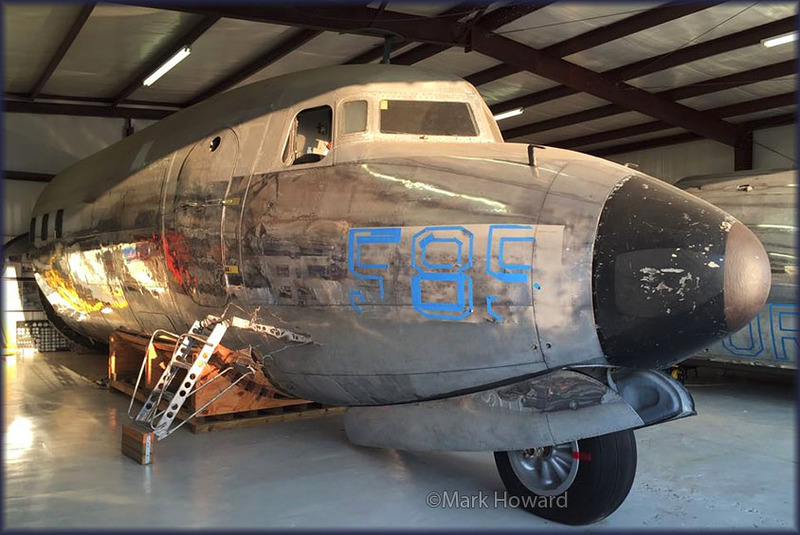 I intercepted a request for volunteers to help put this C-46 on the 2016 air show circuit and got some details of its owner and operation. "May be a long shot, but trying to put some feelers out there for potential pilots. I oversee the C-46 The Tinker Belle for the City of Monroe (which owns the aircraft) and we are trying to see if there is anyone locally, or has the means to get to us regularly (we are just outside Charlotte in North Carolina) who has the experience (probably mostly in a DC3 or C47) that could transition and volunteer time to help us get to some air shows throughout the year. We currently have two pilots certified to fly and go to about 10-15 events each year, typically your normal fri,sat, sun shows. We need some folks that can dedicate the time and energy needed to get certified and that have enough experience to handle this one-of-a-kind aircraft. We can provide the training and 'ground school', but need folks who are serious about it. It is also more than just flying, we work during the airshows, giving tours and talking about the aircraft, so your job wont be done when we land. I know it may be a tall order, but could be a great opportunity for someone retired or just someone who has a passion for this sort of thing. The City has had her for the past roughly 5 years. We partner with the non-profit Warriors and Warbirds who help to oversee her operation. Basically, the city pays expenses and the nonprofit provides volunteers and takes her to air shows. Helps to promote our aerospace industry." Delivered to USAAF as 44-78774, 19??. Pan American World Airways, September 1948-January 1953. Riddle Airlines, July 1960-June 1963. CAF/Commemorative Air Force, Midland, TX, 1991-2010. - Assigned to CAF Southern California Wing. Warriors and Warbirds, Monroe, NC, 2010-2012. When I read that DC-3 HK-2663 had been damaged 'beyond economic repair' I was a little skeptic for a DC-3 can be repaired from almost next to nothing. Then this image was published and I was convinced! Douglas C-47B HK-2663 (c/n 12352) burning... Three injuries, fortunately nil fatalities! 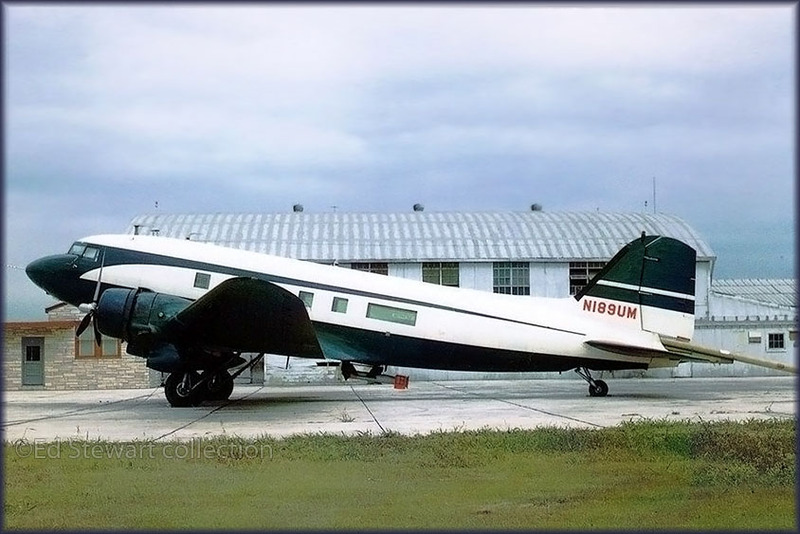 "An Arall, Aerolineas Llaneras, Douglas DC-3, registration HK-2663 performing a flight from Puerto Gaitan to Villavicencio (Colombia) with 3 crew, was climbing out of Puerto Gaitan when the left hand engine (R-1830) failed. The aircraft lost height, the crew attempted an emergency landing outside the aerodrome. The aircraft burst into flames and was evacuated. Two crew received injuries and were taken to hospitals." 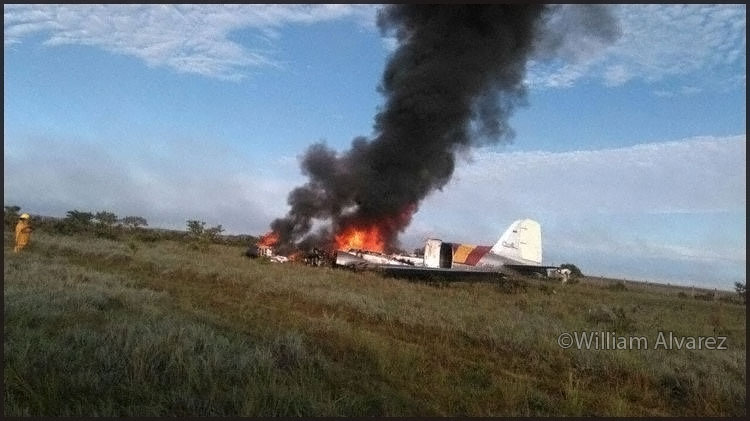 "Colombia's Aeronautica Civil reported the DC-3, registration HK-2663, plunged to ground a few minutes after takeoff at 06:25L (11:25Z), two crew members were injured and were taken to hospitals. Other than Colombian media reported (claiming the aircraft was carrying 14 passengers) the aircraft did not carry passengers. Investigators have been dispatched onto the accident site." From/by Aviation Herald - By Simon Hradecky, created 07Ap16, updated 07Apr16 22:22z. 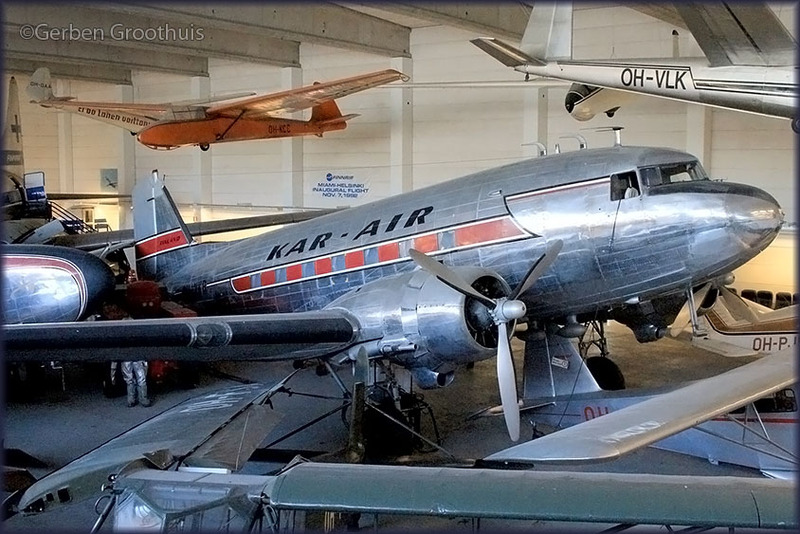 Fred Barnes was inspired by a recent photo of DC-3 OH-VKB (in the Helsinki Museum), a photo shared by Gerben Groothuis on my website, and Fred did me the pleasure of sending me a picture where Douglas DC-3A c/n 1975 is seen in better days! 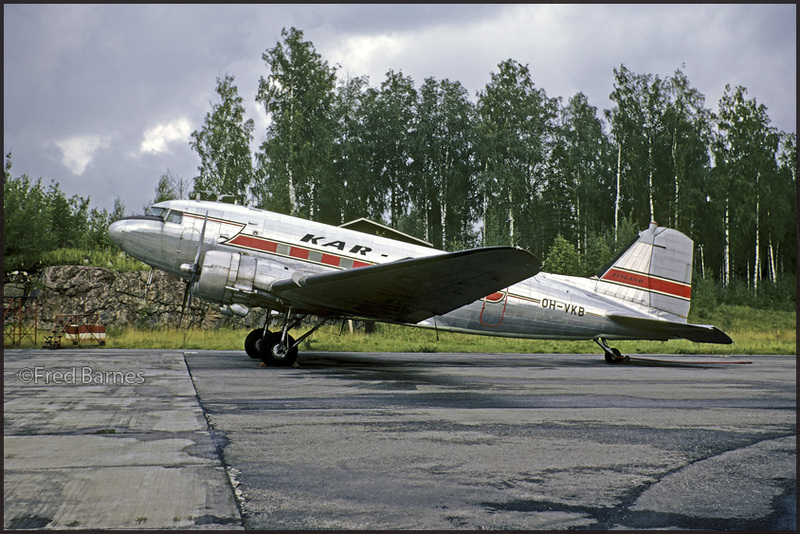 Kar-Air DC-3 OH-VKB taken by Fred Barnes at Helsinki on 26Aug72 . 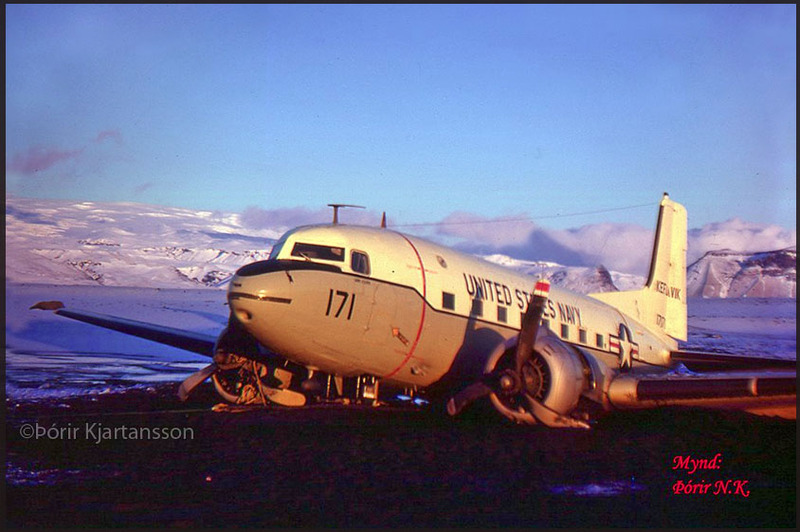 There remains a lot of attention, and discussion, on the C-117 wreck on Sólheimasandur, Iceland. When I visited the location in 2007 it was virtually unknown and I had to request the help and transport of a guide to get me there. These days there seems so many people visiting, some with little respect and local landowners put a fence around it. Þórir Kjartansson posted a photo on 'Iceland, The Photographer's Paradise' to show how it looked soon after it ditched on the beach. See my Iceland 2007 page for its history as well as other propliners I found during that week. Terry Fletcher went Down Under to Wanaka, New Zealand to be precise! 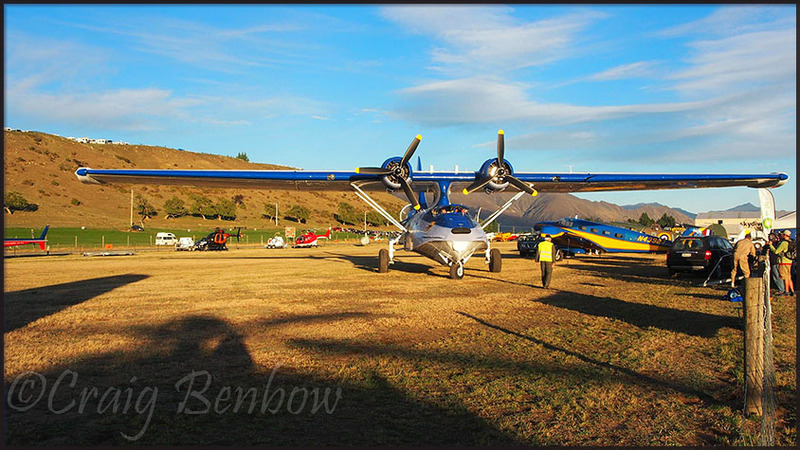 He visited the 'Warbirds over Wanaka' event, which this year was held on 25th, 26th & 27th of March. ZK-AWP (c/n 33135/16387; ex/ 44-76803 NZ3543 5W-FAI ZK-AWP A3-AWP). 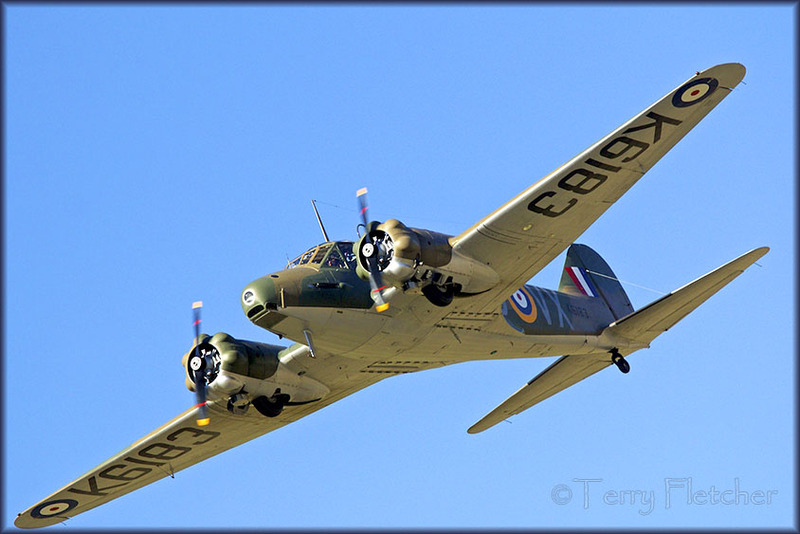 On 18Jul2012 the Avro Anson Mk.I K6183 made its first post-restoration flight, after 10 years work on it. Apparently it is the only Avro Anson in an airworthy condition in the world, so a unique sight to see it flying here! All that remains of ZK-APB, Douglas DC-3D c/n 15945/32693. It probably survived in this 'configuration' for a good many years as I have in my database: ..used as a restaurant (tavern), Miramar,Wellington,NZ - then (2001?) 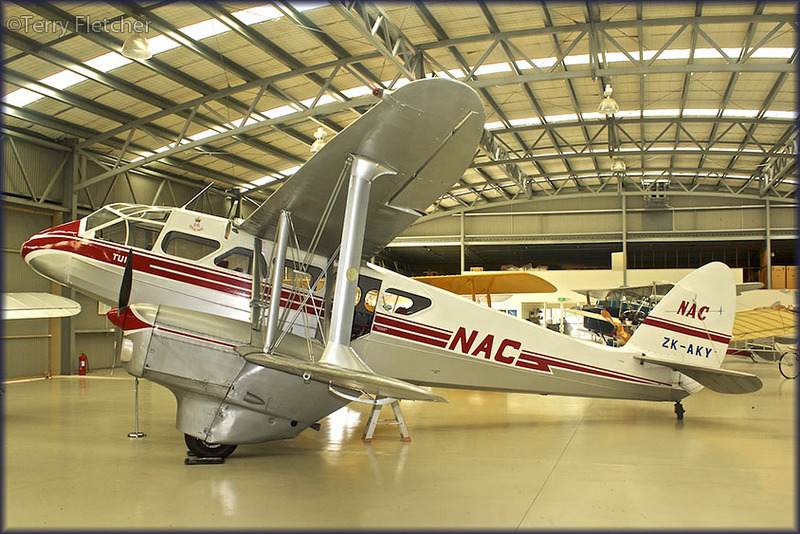 to 'Sports and Vintage Aviation Society' at Masterton. Roy Blewett added to this (Classic-Propliners forum, Yahoo, 31Mar2016): "SVAS sold it a couple of years ago to a chap called Athol Murray, and it now lives in Dipton - far lot closer to Wanaka than Masterton!" 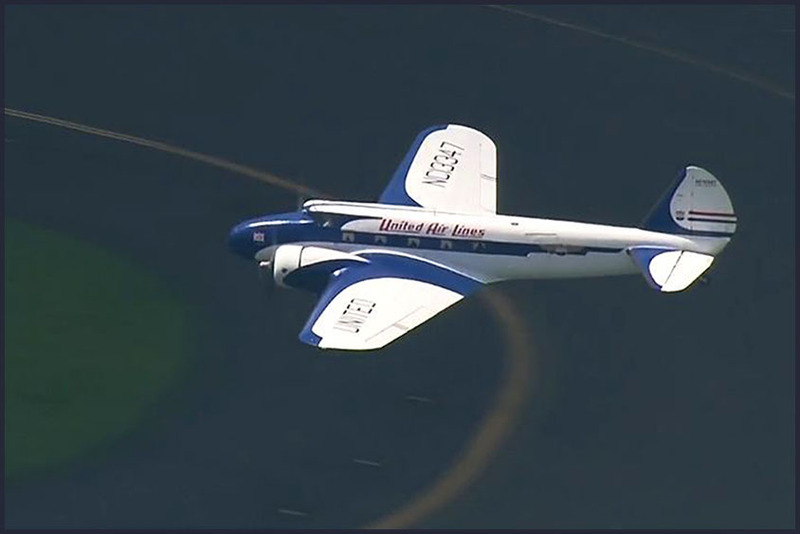 When Athol Murray spotted an old Douglas DC-3 for sale on the internet, the chances of it being one of the planes his grandfather flew during World War 2 were too great to ignore. So he bought it. 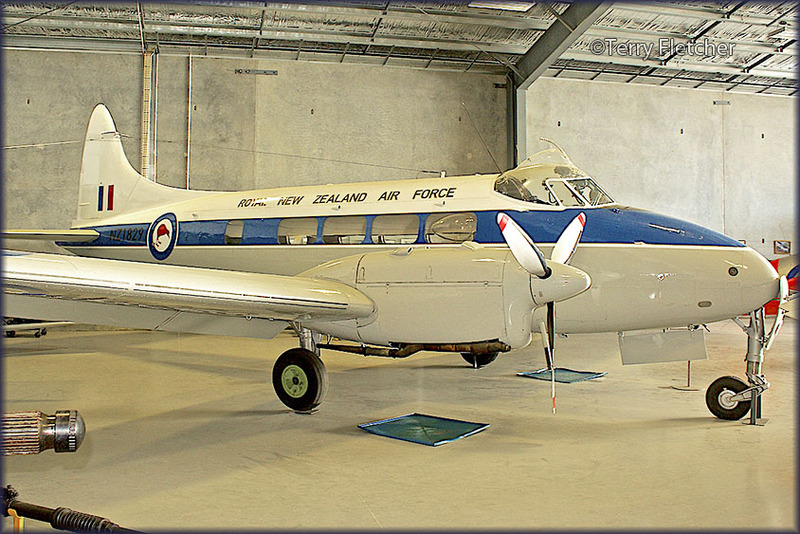 The Royal New Zealand Air Force plane (registration ZK-APB) was formerly an air ambulance in No 41 Squadron, which flew during the final months of World War 2. ''The important thing for me was, my grandfather James Murray was the squadron leader of 41 Squadron, so it's one of his aeroplanes." "He flew DC-3s all over the world - America, Japan, up through the islands. Before that, he was a bomber pilot with the Royal Air Force and flew 45 missions over Germany and North Africa." 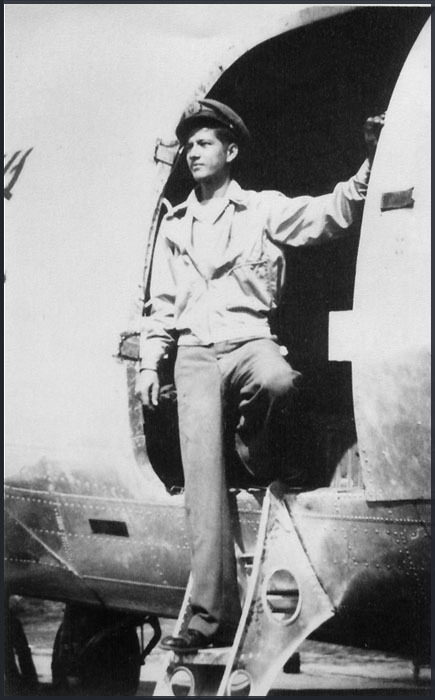 "I want to restore it so I can make it a tribute to him and what he did as a pilot." All that remains of the old plane is the cockpit and nose cone. But for Mr Murray, that was a bonus. It meant he could drive all the way to Masterton where it was in storage, load it on to his trailer and drive home again with no major transportation costs. 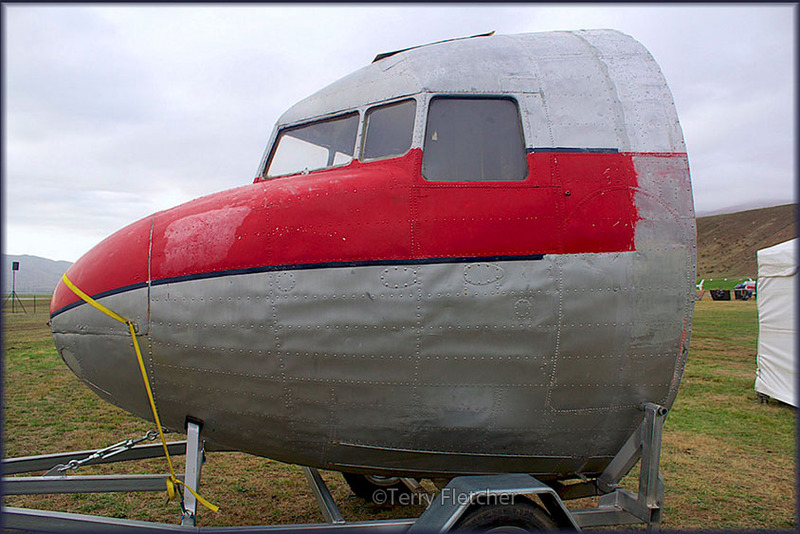 Now, after nearly 70 years, a little piece of the Murray family history takes pride of place on the front lawn of one of the Queenstown aviation enthusiast's properties in Dipton! Mr Murray said the plane played a significant part in New Zealand's aviation history. Following the war, it was renamed Popotea and used by the National Airways Corporation (NAC) as a passenger plane. By the mid-1960s, the plane was retired from the NAC fleet and spent the next 20 years as a top-dressing plane. "She's been around the block a few times," Mr Murray said. It was withdrawn from service in the early 1980s and the nose of the plane became a landmark when it was mounted at the front of the Aerodrome Tavern in Miramar. When the tavern closed, it was put on a scrap heap. Mr Murray said the Sport and Vintage Aviation Society in Masterton heard about it and preserved the cockpit, storing it in a hangar for the past 10 years. 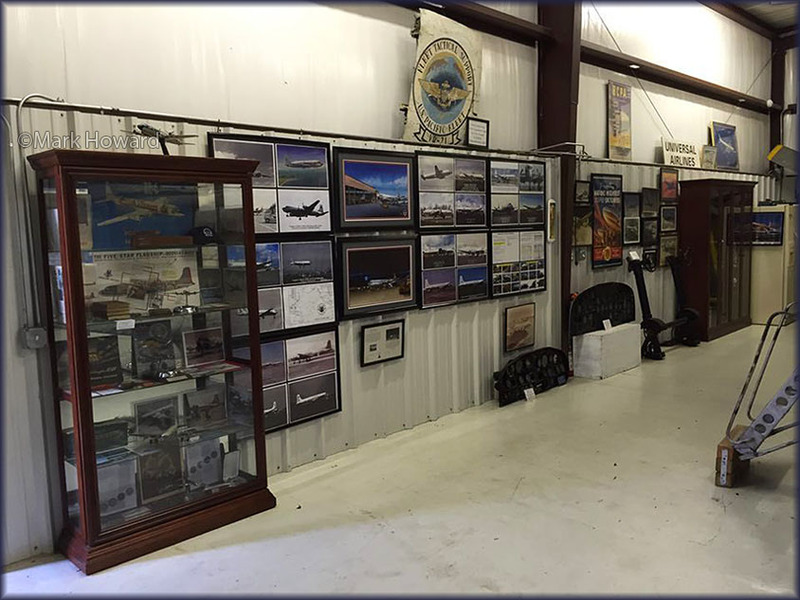 Recently, the society decided it needed the hangar space and listed it for sale. He said the plane got an "unbelievable" amount of attention as he crossed Cook Strait on the ferry and drove south on State Highway 1. "Every time we stopped for petrol we had people coming up - lots of photos and lots of questions." Ultimately, Mr Murray said he would like to restore the cockpit and use it as a mobile advertising billboard. The cockpit had been stripped of instruments and seating, and all that remained were the throttle and steering column. "Restoring it will all come down to cost. But in the meantime, it's going to be a lovely garden ornament on my wee property in Dipton," he said. Wanaka is a popular ski and summer resort town in the Otago region of the South Island of New Zealand. It is situated at the southern end of Lake Wanaka, at the start of the Clutha River. It is the gateway to Mount Aspiring National Park. 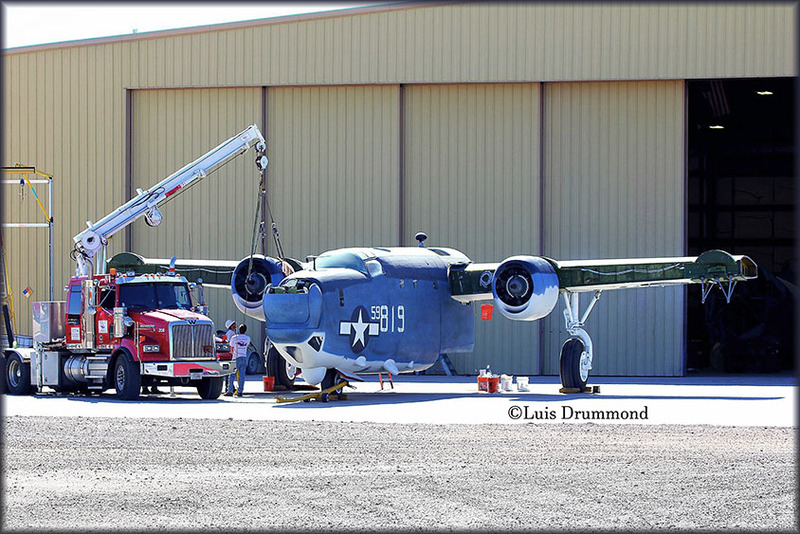 Luis Drummond was able to document in March 2016 how PB4Y-2 N3739G was being pieced together at Pima's Air Museum; Luis shared this and several other images of N3739G on Facebook's 'Fire Bombers' group on 23Mar16, a week after the images had been taken. See how I witnessed the disassembly of this PB4Y-2 Privateer at Galveston's Lone Star Museum last november! Sponsors (e.g. KLM in the Netherlands) withdraw their support on vintage aviation, 'future projects' by enthusiasts are postponed indefinitely or abandoned and the aircraft left to rot or offered for less than scrap value... 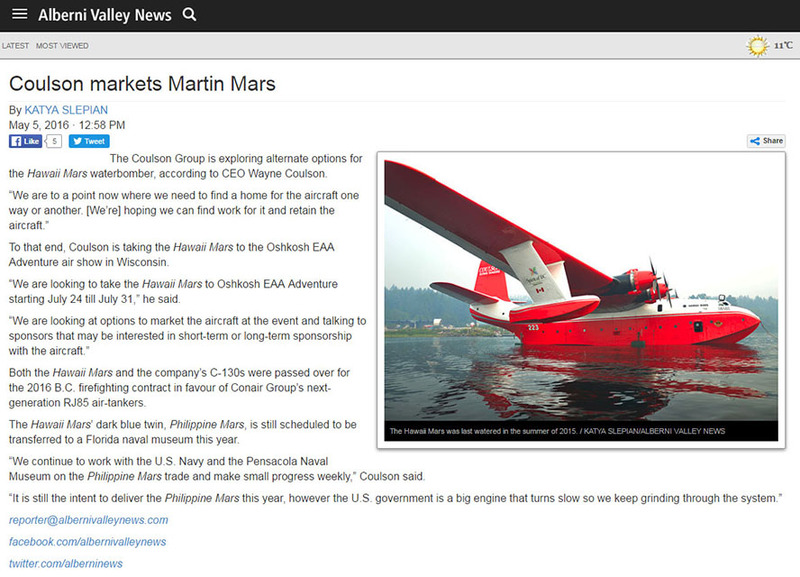 The continued global crisis caused and continues to cause 'casualties' in the vintage aviation community. 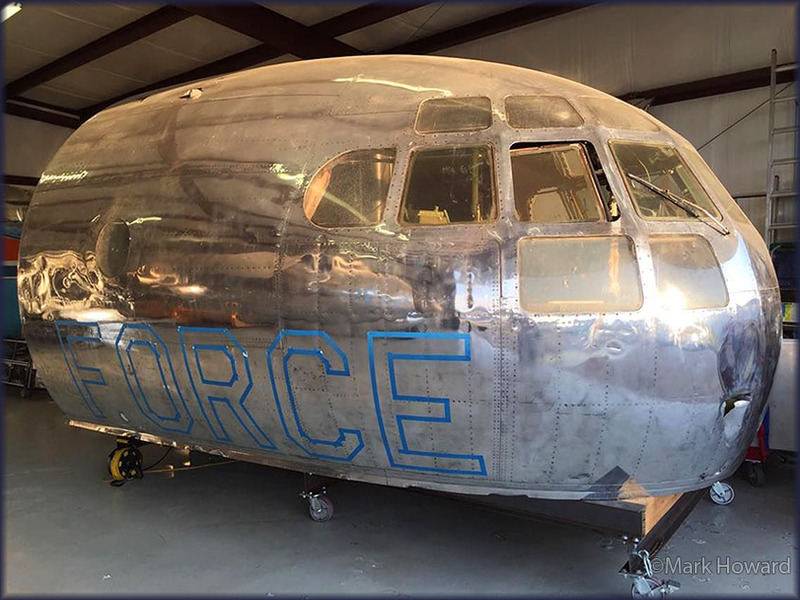 It is therefor such an absolute joy that we see Lockheed VC-121B Constellation N9463 c/n 2602 (48-0610) being saved from further decay after decades of storage at Avra Valley in Arizona and after many months of maintenance on 'the Connie' it arrived on 23Mar16 at its new home: Bridgewater,VA. 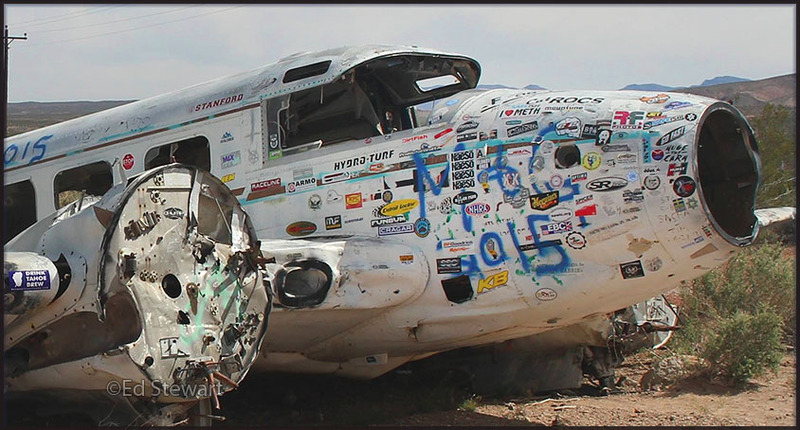 My personal write up on Connie 48-0610 can be read on my 2008 visit to Avra Valley's Marana Reg'l Airport. While browsing historic images made by Dr Joseph Rock ca.1925 I came across this interesting aviation image! Read what Colin wrote and the history detailed by me after I had visited the museum 'Betsy' is preserved in, in Hong Kong. N8149P when it was operated for the Beaufort County Council, as a sprayer! See MY REPORT of visit to 'Frogmore Int'l Airport' in South Carolina. Mark Howard, having learned from my plans to travel to Texas in 2015, invited me over for a visit to his museum in Oklahoma City. Karl E. Hayes' article published on my website, 'Of DC-6s and Men', has a lot to do with N1037F! Boeing C-97 QEC that Mark is restoring. This was donated to him by The Berlin Airlift Historical Foundation. Mark sent me all the relevant data of this Lockheed Lodestar (c/n 18-2341); I found a few additonal dates on Joe Baugher's website. 15Apr1943 To South Plains AAF, Lubbock, TX (40 days) – WASPs flew C-60s to tow Waco CG-4 gliders at South Plains. 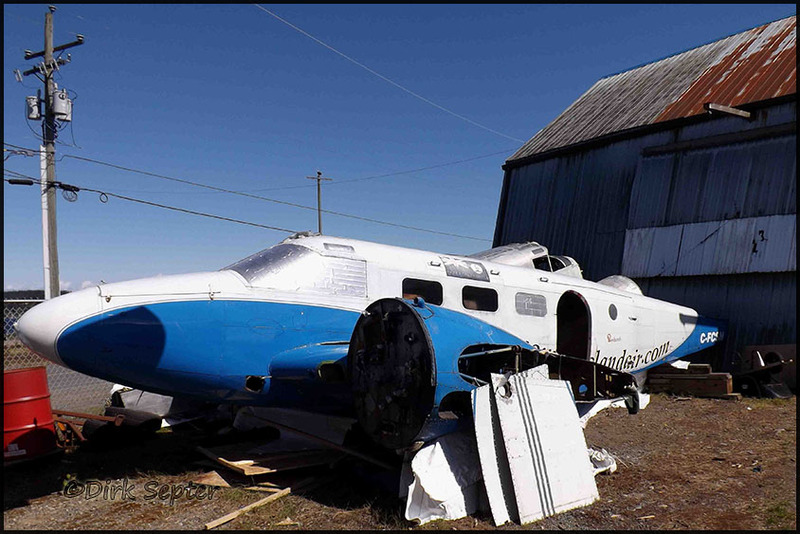 15May2011 Forward fuselage purchased by Mark Howard from Basler Turbo Conversions from the former Tradewinds Aircraft yard in San Antonio,TX. 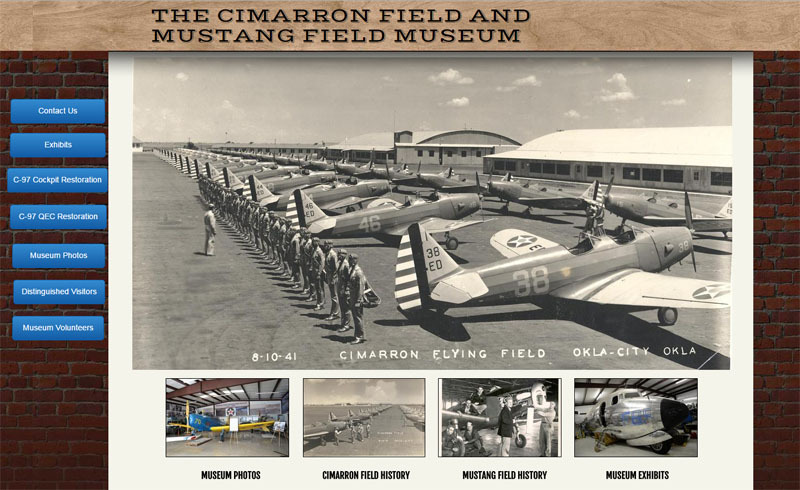 So, if you are close to Oklahoma City during your travelling, please stop and visit Mark's aviation museum, The Cimarron Field and Mustang Field Museum. In addition to the WWII displays, there is the forward fuselage (38 feet) of C-118B N1037F (ex/ Victoria, TX), the cockpit of the ex/ Midland,TX (Gary Austin's) KC-97L, and the nose / cockpit of a Lodestar from Tradewinds Aircraft in San Antonio. Mark has spent about 5.000 hours working to get this museum established!